World-famous animal charity Battersea Dogs & Cats Home has launched a crackdown on the cruel practice of backstreet dog breeding. The Home’s chief executive Claire Horton says the relentless breeding of dogs in dirty, squalid conditions takes place in neighbourhoods up and down the UK, so we have started a major campaign calling for a ban on the sale of puppies under eight weeks old and the introduction of a breeding licence requirement for any household producing two or more litters per year. The charity has a proud record of promoting animal welfare and in support of its latest campaign, Eden Harper looks at some landmark dates in its history. 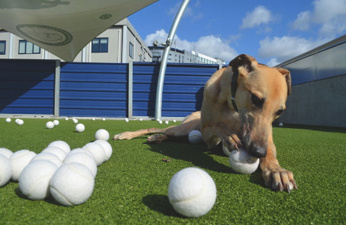 Battersea has been synonymous with dogs and cats since the late 19th century. But did you know the word-renowned charity Battersea Dogs & Cats Home did not add cats to its title until 2002 – the same year Eden Harper opened its estate agents office in Battersea. The charity started out in 1860 as the Temporary Home for Lost & Starving Dogs when it was set up by Mary Tealby in a disused stableyard in Holloway, North London, and only moved south of the river in 1871 when it was renamed The Dogs’ Home Battersea. It took another 12 years before Mary Tealby started taking in cats, but since then the charity has continued to grow and evolve. Today, the animal rescue has four centres – Battersea, Brands Hatch in Kent, a cattery in Old Windsor plus a small rehoming unit called Battersea Dogs & Cats Home From Home in Sydenham. The latter outpost is about eight miles from Hackbridge in Surrey, where the charity opened its first site away from Battersea in 1898 due to a rabies epidemic in London. All Battersea Dogs & Cats Home’s centres aim to provide a safe haven for cats and dogs in need of urgent help the charity prides itself on running a non-selective intake policy and is happy to help any breed of animal, even if there are serious medical and behavioural problems. The Lost and Found team helps to reunite owners with their missing pets and shows those who’ve lost an animal around the kennels and the cattery in order to locate their pet. There are also education programmes to help the public understand about microchipping, neutering and training. The training team also provides guidance and assistance for companies with staff who come into contact with animals in their everyday life and may be at risk from dog attacks. They assess the safety of all dogs that come into the Home and the team has also trained Border Force search dogs, police support dogs along with animal actors. The three sites in Battersea, Brands Hatch and Windsor are all open to the public. For more information click here. The charity has cared for more than 3 million animals. About 331 staff are employed across all sites, plus more than 600 voluntary workers. Jobs include walking the dogs, socialising with dogs and cats, kennel support, leading education talks and gardening. The animal rescue takes in an average of 14 dogs and 8 cats every day. The Home usually has around 450 dogs and 150 cats across its three sites and on foster at any time. The average stay for dogs is 45 days and for cats 28 days across all sites. 1883 Battersea starts taking in cats. 1990 Microchipping for dogs is introduced. This is set to become a legal requirement for all dogs in England from April 2016. If you’re interested in getting involved with the Home, you could join the family of devoted staff and volunteers who work around the clock to care for dogs and cats. In 2012, no less than 833 volunteers and 313 staff cared for 8,640 animals across the three centres. New kennels are currently being built, with single storey, spacious kennel blocks. The work is due to be completed in March 2015, and the aim is to be able to rehome animals more quickly and to help even more dogs. In 2010, when the cattery opened, there was a 30% increase in cat rehoming, so the hope is that they’ll be a similar impact for dogs. This article is not the first time Eden Harper has helped promote the work of Battersea Dogs & Cats Home. Take a look at our Close Up on the charity, and look out for news of our future fundraising efforts. Be sure to check out Battersea Dogs & Cats Backstreet Breeding Campaign.